The contrasting fortunes of Kuwait’s two airlines could hardly be starker. 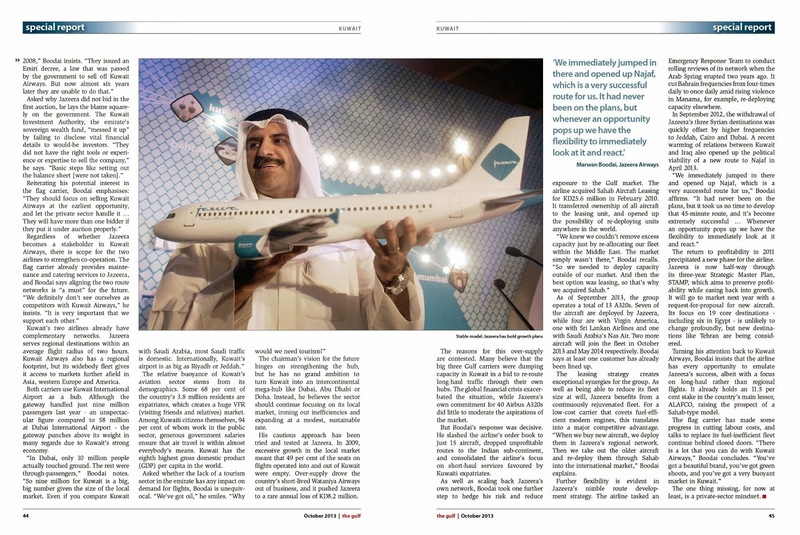 Jazeera Airways, a privately owned low-cost carrier founded in 2005, has been profitable in all but two years. 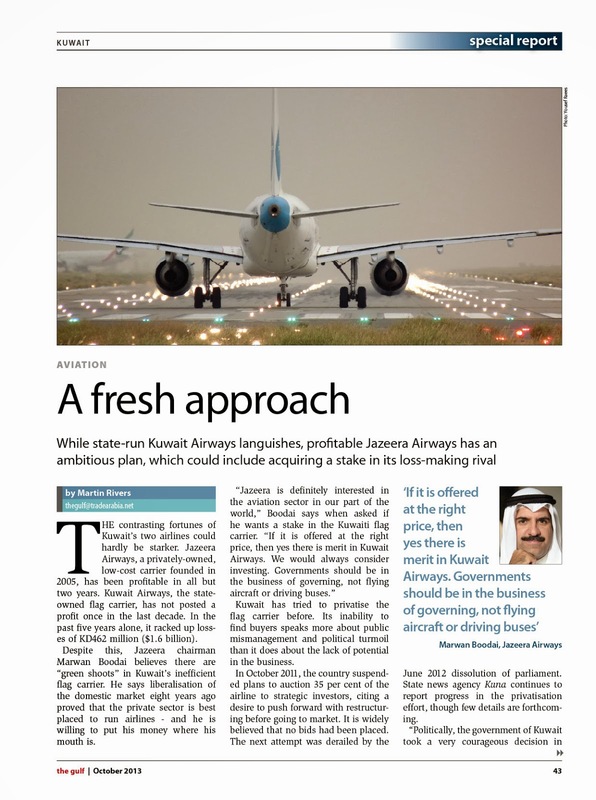 Kuwait Airways, the state-owned flag carrier, has not posted a profit once in the last decade. In the past five years alone, it racked up losses of KD462 million ($1.6 billion).